Online Home Valuations - Are They Any Good? When it comes to selling your home, there are many facets to consider. The timing of your move, prepping your home, how to market your home and countless other considerations. One might say, however, that the most important consideration is setting the listing price. In our experience, we have found that many sellers use flawed assumptions when determining their listing price. 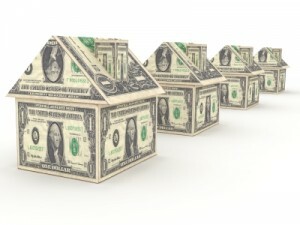 WIth this post, we begin a series of articles on the topic of pricing your home for sale. There are many options one can use to help determine the value of a home. One option that has become more popular lately is the so-called "online valuation." There are several websites, (such as Zillow, HouseValues, etc.) which claim the ability to determine the value of your home. So, how do they work, and are they any good? These online valuation sites fall into two basic categories. The first category of sites are those that use a mathematic algorithm to calculate a value for your property. The problem with this method can be distilled into an acronym well-known in the computer industry: GIGO, or Garbage In, Garbage Out. This means that incorrect or poor quality input will always produce a faulty result. The "garbage in" stems from the data that is used in the calculations. Where do they get this information? Well, typically they use publicly-available information, such as tax records. The problem with that is, tax records are notoriously outdated and inaccurate, especially in Atlanta.